WHAT ARE THE OPTIONS FOR GROUP TOUR VISITS AT THE PETERSEN? If you are interested in a group visit, please review the following information. For any additional questions, contact our Group Reservation Coordinator at GS@petersen.org or call (323) 964-6346. Groups are encouraged to visit the Petersen, and groups of ten or more people get $2 off any admission level, either when purchasing tickets in advance or on site. As you explore the museum, you will encounter our friendly and knowledgeable volunteer Gallery Interpreters throughout all floors of the museum who are eager to talk with you. They can answer questions, show you around the galleries, help you access our touchscreens and technology, and share vast amounts of fascinating content about our new galleries and unique collection. They are excited to interact with visitors of all ages and backgrounds and they want to hear your car stories and answer your burning questions. The Highlights Tour is a private docent-led tour designed for adult groups (not recommended for school or youth groups) to give visitors an overview of all three floors of the Petersen. Visitors will receive information about some of the most interesting automotive exhibits and vehicles on display. The 60 minute tour takes visitors through the Hollywood Gallery on the History Floor, Hot Rods and Customs on the Industry Floor, and the Mullin Grand Salon on the Artistry Floor, among many others. While the Highlights Tour will give visitors a great introduction to what the Petersen has to offer, we encourage you to come back through the museum to explore on your own after the tour concludes. Thank you! A Petersen representative will be in touch soon regarding your tour inquiry. 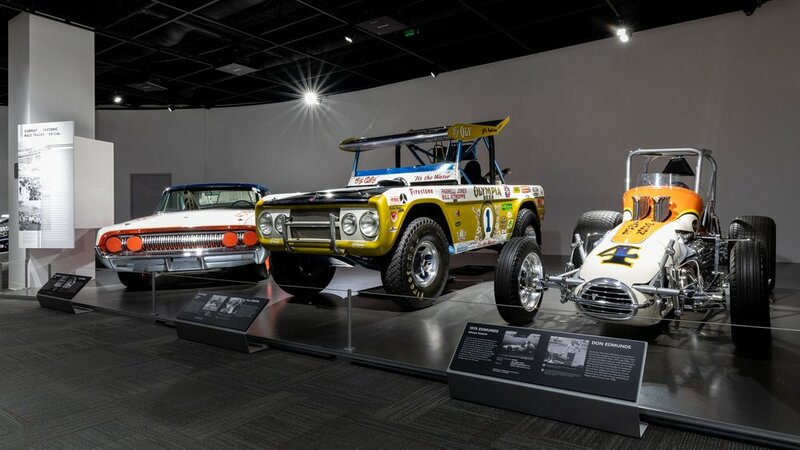 The Petersen can only display so many vehicles at once, and our exhibits are always changing to bring something new and exciting to our visitors. When cars aren’t up in the galleries, they reside in the Vault presented by Hagerty®. Each car has a fascinating story behind it, and on the daily 90-minute and 120-minute Vault tours, our docents will share many of these stories with you. Vault tours are open to the public and are available on a first come, first served basis through the Petersen’s ticketing website ($25 or $30 per person, nonrefundable and nonexchangeable). Ticket inventory is viewable on the website one month in advance. We also offer Private Vault tours for those interested in a more exclusive experience. Please email GS@petersen.org or call (323) 964-6346 to schedule. When only a premium experience will do, choose a private tour designed exclusively for you. Based on your schedule, your interests and your guests, we offer a custom approach with a la carte options such as transportation to or from the Petersen in a museum car, themed tours, FORZA racing competition, dining options, gift bags and more. The ultimate tour takes place before or after museum hours. Corporate clients, individuals and groups commemorating special occasions enjoy having their own private tour guide, the intimate experience of touring the museum without the crowds and the exclusivity of touring without the public. For your custom built VIP tour please email GS@petersen.org or call (323) 964-6346.